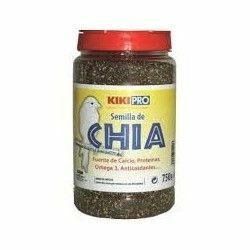 Avoids problems related to being overweight and the muscles thanks to the protein in your recipe, while maintaining the activity level of the cats sterilized. 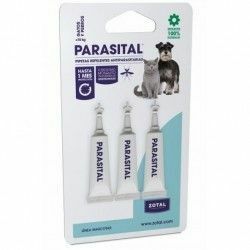 Helps maintain digestive health thanks to the beet pulp and chicory that incorporates your prescription, helping also to reduce the smell of the litter box of your cat. 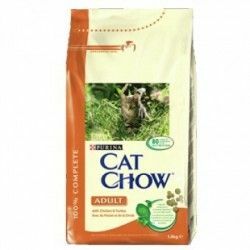 The old Tonus gives way to Cat Chow, which reappears with a prescription still more improved. Among its improvements we appreciate the increase in the number of bifidobaterias beneficial for the intestine of our pets. 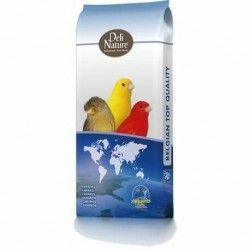 Maintains the natural defenses of your cat thanks to the selection of natural ingredients and to the vitamin E.
Composition made inspired by nature, to give the cats the flavors you prefer by insitinto, increasing the palatability of the food. Cereals, extracts of vegetable proteins, meats and animal by-products (meat 14%), oils and fats, vegetables (dried chicory root, dried 2%, carrot 1.3 percent, spinach by 1.3%, peas 1,3%), by-products of vegetable origin (dried beet pulp 2.7 per cent, parsley* 0.4 per cent), mineral substances, yeasts. Crude protein 38%, oils and fats gross 10%, crude ash 8.5%, crude fibre 3%. 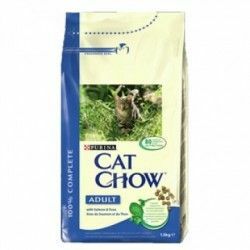 Description: Cat Chow Sterilized is a rich food complete and balanced specially formulated to meet the nutritional needs of the cats sterilized, which due to their characteristics, need suitable content of protein and fat.